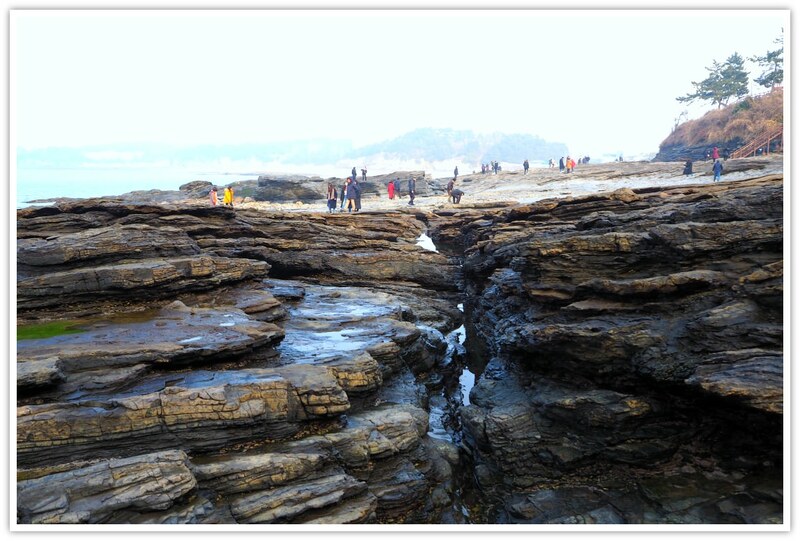 Chaeseokgang geological site cliffs is a natural site composed of millions of years old rocks. 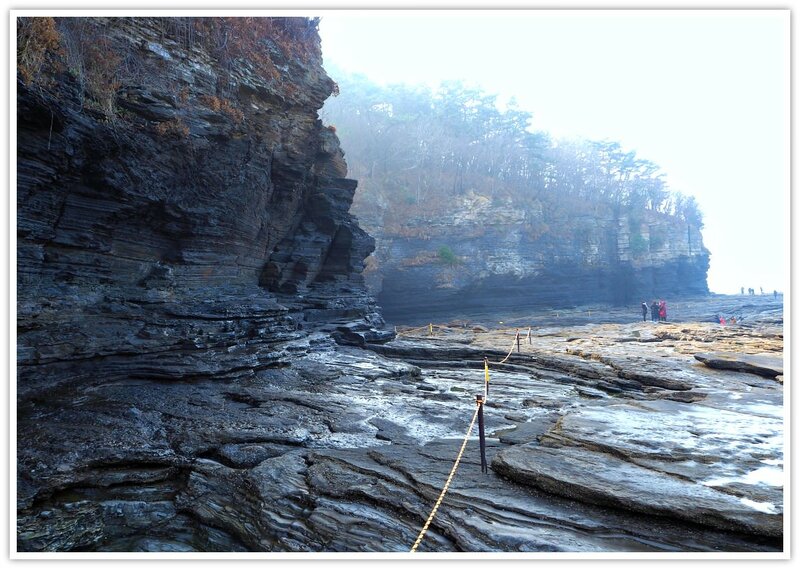 The site is located in Gyeokpo-ri, Buan County, Jeollabuk-do, South Korea. This highly researched geosite is attracting thousands of visitors both domestic and international. The stratified geological rocks have layers of various shapes and formations. Such features are quite interesting to see. I visited the place and was surprised myself to see them. What strikes me the most is the layers of rocks that form like slates or slabs lying on the ground—they are millions and billions of years old! 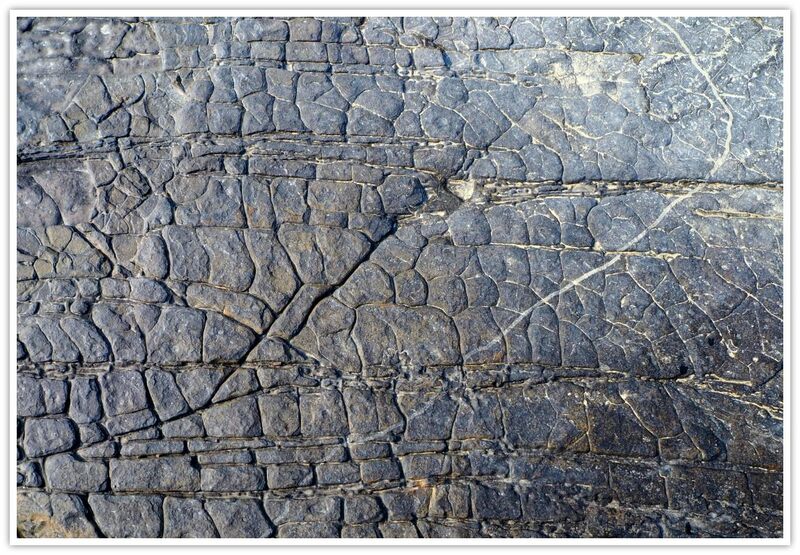 FACTS: You will find rocks of Paleoproterozoic (1.8-9 billion years ago), granites of Jurassic Period of Mesozoic Era (170 million years ago), volcanic & sedimentary rocks of Cretaceous Period (about 87 million years ago, dinosaur footprints fossils inside rocks, etc. Their shapes, sizes, diameters, and other strange features seem like an alien planet to me. I could only think of movies depicting the uncharted and distant planets where nothing or no life could exist. Anyhow, observing the rocks and the surrounding is quite entertaining, aside from feeling happy and proud realizing that I was walking on top of ancient elements of the Earth I am living in. Sort of mind-blowing experience! 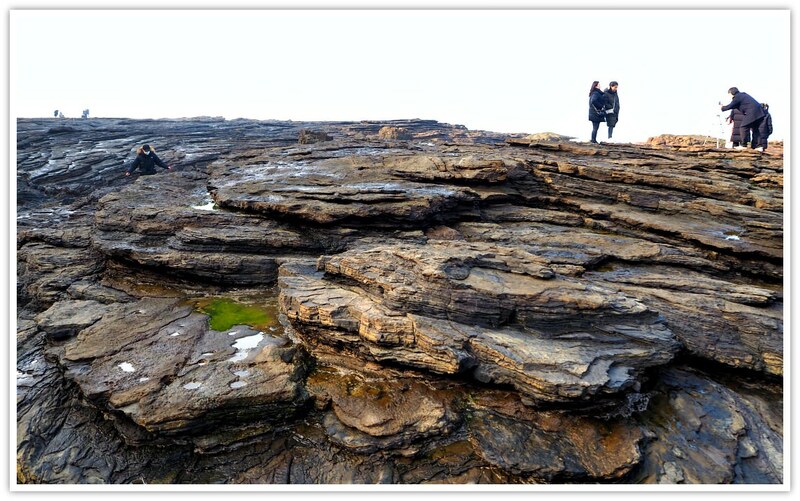 What is more interesting about the Chaeseokgang geological site is that it is like a picture with a perfect background: the blue sea of the West Coast. Yes, that is what adds to the beauty of the geosite (shortened form for ‘geological site’). I would say anybody who can walk with no problem. Ideally, children around six years of age and adults would have no trouble treading over the rocks. However, I should say that tiny kids would find it difficult. But with an adult or parents would be fine. Grandpas and grandmas who can walk without any support will do fine here. But they should be watched by younger guys just in case. Also, there are some safer spots where they can stay and simply survey the place. Slippery in some areas! So choose your next steps carefully. As above-mentioned, the cliff and rocks on the ground are millions of years old. I guess you don’t need more words. Just see the photos I took. There are caves on the cliffs being carved by the sea waves as well. 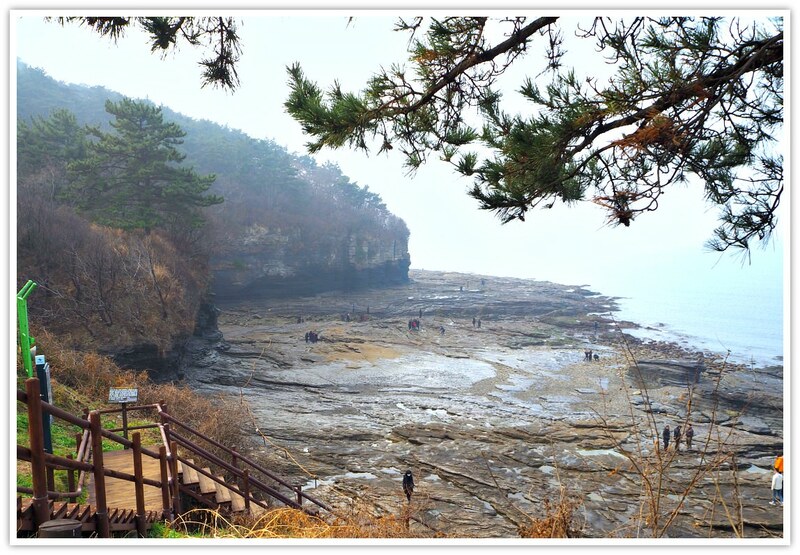 Just right beside Chaeseokgang Cliffs, you will not miss the enticing views of Gyeokpo Beach. Yes, just like in the photo, it is wide and beautiful. It is surely great for swimming during the summertime. (Photos were taken during winter time). Just right above the Chaeseokgang Cliffs, you will find a resort facility. They accept guests for as long as you want to stay. I believe that the wide-open sea is perfect during the summer holidays for various exciting activities. No, I have not seen any water skis or speedboats (yet). However, I’m confident that this beach area is pack during summer. I have not witnessed it, but I’m pretty sure that the sunset from this vantage point is phenomenal! Everyone says that sunset view in this part of the peninsula is astounding. There are recommended hiking courses along this side of the national park. You can start from this cliff or the beach and hike towards the south where you will discover more beaches, and other tourist attractions (see below). Around Gyeokpo-ri, you can easily find accommodations: pension houses, condos, hotels (condo style, which means they have cooking facilities inside the hotel room). Also, there are family houses that offer their rooms for rent. They call in Korean as ‘minbak.’ They get permission from the local authorities to accept guests. Not all, but some are like the B&B (bed and breakfast). Many of these accommodations are located around Gyeokpo-ri Bus Terminal. (Note: buses stop here only drop off and pick-up passengers but do not idle here). Aside from the Gyeokpo-ri central area, you can also stay near the beach areas where accommodations are offered but limited in number. If you decide, you can pitch a tent in a designated camping area which is near the beach. 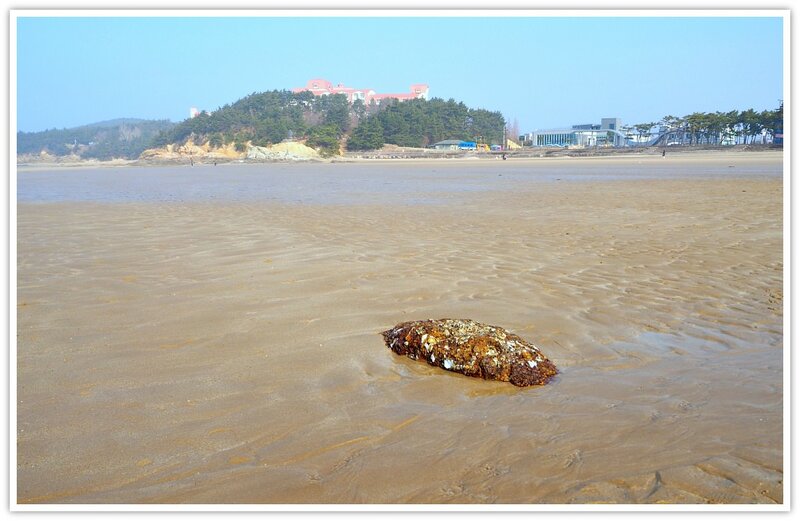 Gosapo Beach and Byeonsan Beach are examples of such camping areas. 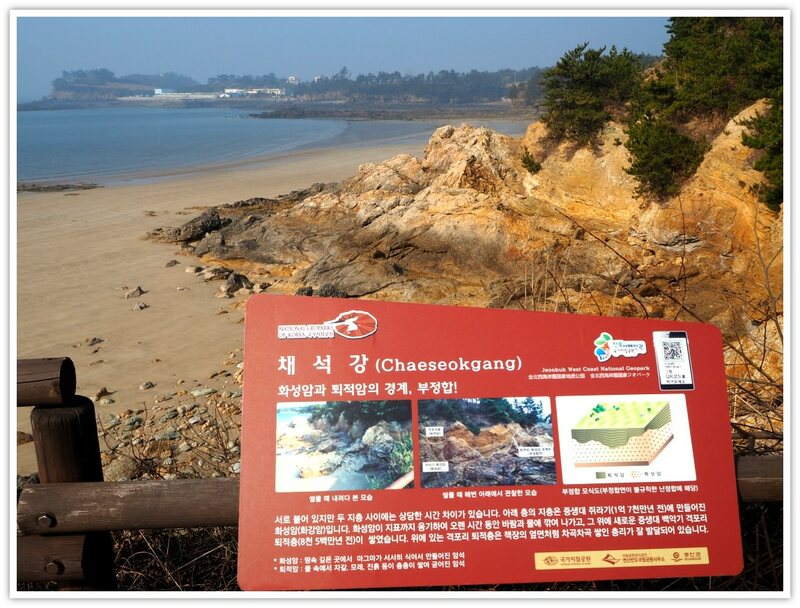 Gyeokpo Beach is not a designated area for camping. Now, if you really want to get a room during peak season, book it ahead of time. I recommend staying around the bus terminal area of Gyeokpo-ro where most of the exciting adventures begin! Take a bus from Buan going to Gyeokpo-Ri (yellow bus). It will take around 30 minutes only. 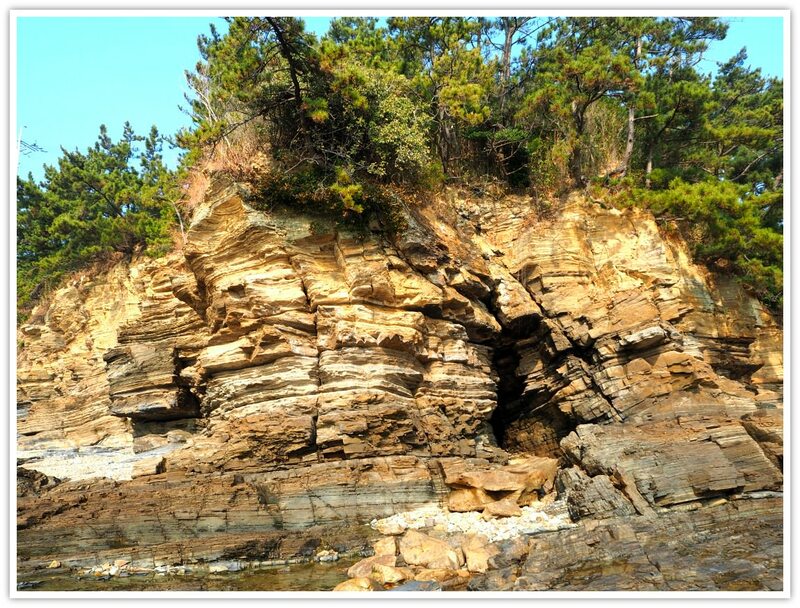 Get off at Gyeokpo Bus Terminal and walk towards Chaeseokgang Cliffs area. Asking somebody would be the fastest way to get your directions right. The following details can be useful if you need more. Hope these can help. Otherwise, my description on this page is sufficient to help you navigate the place. Please, let me know if you have specific questions that I haven’t answered above. Yes, there is a parking space if you are asking. Parking fees will be collected and the amount varies depending on the size of your vehicle and hours (and minutes) you occupy the space. The rate starts from 500 Won to 1,500 Won per hour. For each 10 minutes extension, there will be additional charges. Hope this page has been useful to your search. Please, email me if you have specific questions about the place.